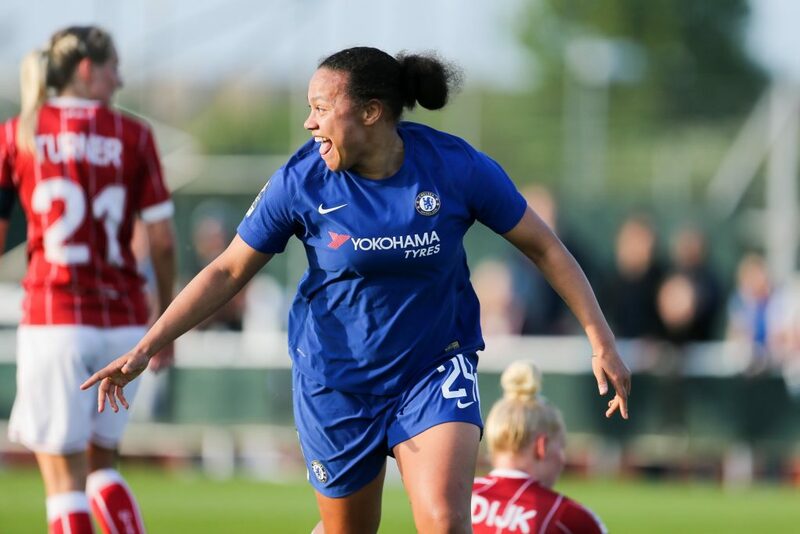 Chelsea clinched the FA WSL 1 title and their second domestic double in four years as they defeated Bristol City 2-0 at the Stoke Gifford Stadium. 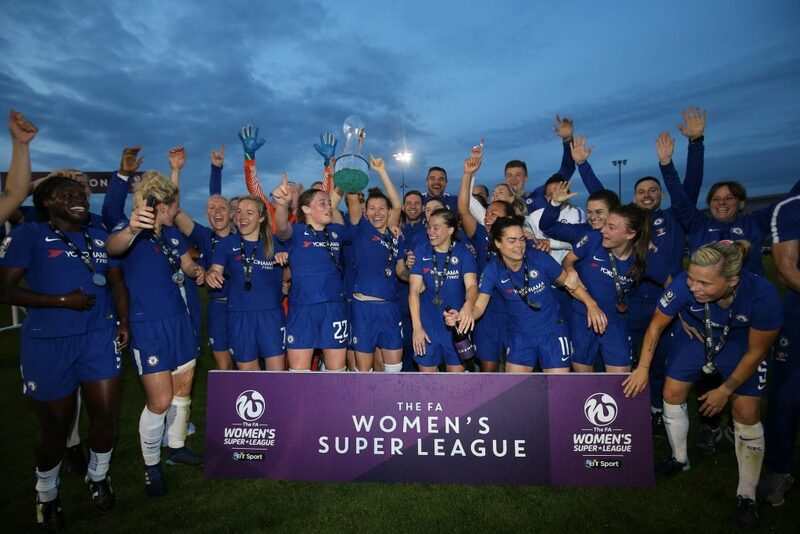 Drew Spence and Jonna Andersson scored the decisive goals for the Blues, who sealed their fifth trophy under Emma Hayes’ management with a game to spare in the league. Bristol City remain in seventh place, two points ahead of Everton. 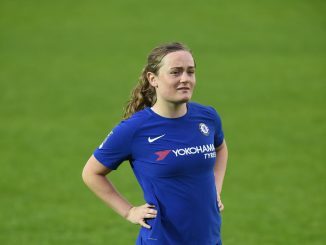 Bristol almost took an early lead when Chelsea gifted the ball to Millie Farrow, but the ex-Chelsea striker could only hit the side-netting when Hedvig Lindahl narrowed the angle. The Blues eased any nerves they may have had when Spence guided a diving header into the net from South Korean international Ji So-Yun’s pinpoint cross after 10 minutes. Sophie Baggaley then prevented Ramona Bachmann from doubling the lead with a sharp save with her foot after Bristol had given the ball away cheaply. Yet the Vixens competed fiercely in the first half. One counter-attack ended with a Farrow shot stinging Lindahl’s palms, while Lauren Hemp and Julie Biesmans also had efforts just wide. Chelsea remained dominant in possession during a cagier second half but found it difficult to prise open a hard-working Bristol side. In a nervy moment for Chelsea, Lindahl parried a low shot from Hemp and had to react quickly to deny Liv Fergusson on the rebound. But the visitors kept their composure and sealed the victory, as England forward Fran Kirby darted down the right and cut the ball back for Jonna Andersson, who finished with aplomb. There was still time for Ji to fire a piledriver that forced Baggaley to brilliantly tip the ball onto the crossbar, before the final whistle crowned Chelsea champions once more. 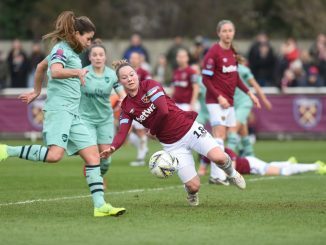 Gemma Davison, Chelsea midfielder said: “We knew that we’d have to stay focused on this game and we wanted to make sure we got the result as well to keep winning and stay unbeaten. “We stayed focused and patient throughout the game. Good teams do that, and we put the pressure on in the last 30 [minutes], and got our rewards. “If teams sit in, of course it’s frustrating, but we’ve come across that a lot this season. But we’ve got lots of players who can break deadlocks. “We all know that every player in our changing room can make a difference. Drew Spence has had a phenomenal season, and she deserves a lot of credit for that goal. “This whole squad’s got a good character about it, and we’ve displayed it all season. 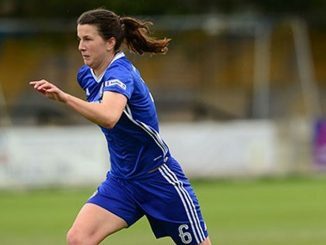 Millie Turner, Bristol City captain said: “Obviously, Chelsea are a great team. We had a game plan and we stuck to it. “We conceded early on but held on well for the rest of the game, so we can be proud of our performance, we can hold our heads up high. “We’re a young team, and we’ve learnt a lot from this season. Being seventh in the league is where we set ourselves from the start. We’ve just got to keep building on that. “We need to capitalise on their mistakes and take our chances. We’re not going to get many in games, so if we had put them away then it would have been a different story.